London colocation buyers are being offered a new wave of data centre options, many of which are repurposed sites previously occupied by a single user. This is yet another new trend for the London data centre market but is providing a less risky and therefore attractive entry point for numerous new operators which we continue to add to the Colo-X London data centre data base. The most recent example is the zColo Feltham data centre which opened late last year and we can look forward to more new operators and facilities to come in 2019 via this model. 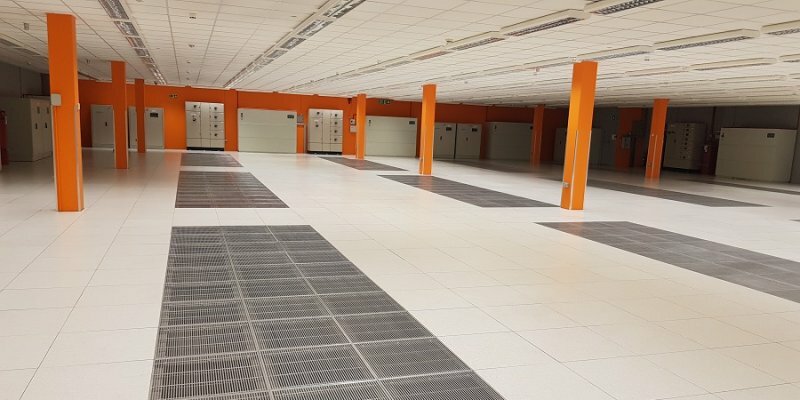 Apart from the fact they are all American owned businesses the other common theme is that these “new” facilities are in fact existing data centres being repurposed for the wider retail colocation market from single occupiers, many of whom are remaining in situ but as a client of the new operator. We expect this trend to continue in London as other occupiers rationalise their estates to suit their current needs. The new names in the London data centre market adopting this model include Iron Mountain in Slough, using the former Credit Suisse data centre and which will be launched later in 2019. zColo in Feltham, using the former T-Systems facility. Cyxtera with five London sites acquired from CenturyLink in 2016, including their largest site on the Slough Trading Estate. And finally we have the yet to be launched Evoque, who acquired the AT&T data centre portfolio late last year with two London sites. Both CenturyLink and AT&T will remain as customers and have an equity stake in the new ventures. Colo-X was pleased to tour the new zColo London data centre just before the Christmas break (and as pictured in the feature image). zColo is the data centre brand of Zayo, the acquisitive American network operator (who acquired both Geo and Viatel here in the UK in 2015) and we’re pleased to include their new West London 1300 rack/4MW data centre to the list of Colo-X London data centres. Located in Feltham, just to the south of Heathrow, the facility has up until recently been fully occupied by T-Systems who will remain as a customer of zColo, using about a 1/3rd of the site’s capacity. Since acquiring the site in early 2018 zColo have undertaken a major refurbishment to improve efficiencies and bring it up to modern standards and it was launched to the wider market in December last year. Although a new name to the London market zColo operate 45 US based data centres and five across France following their acquisition of Neo in 2013. Besides their own network other carriers are available including EuNetworks, COLT, BT, Virgin and Vodafone. With ample capacity at the launch of the facility zColo can offer entire suites of up to 300 racks or around 1MW of IT load but colocation services are available from a single rack upwards. As a big investor in telecoms assets, especially network, the zColo London data centre will perhaps be the start of a longer term expansion by Zayo into the key European data centre markets to match their network coverage and provide a one-stop solution to clients, ie not just selling a network service but also the space to house your equipment connected to it. Certainly the company has a long term track record in the US of running data centres. Whilst there are obviously some attractions to clients in the single contract approach the carrier neutral model is one that has certainly seen the most growth over the past 20 years, so it will be interesting to see how zColo progress and the expectation must be that the initial sales momentum will come from existing clients in their US facilities wanting a European presence. Carriers and colocation. What next for Level3’s data centres (now part of CenturyLink)? CenturyLink Cyxtera $2.3bn 2016 57 data centres (including five former Savvis sites in the UK), 2.6m sq ft, 200MW in total. Originally sold to an investment consortium who contributed the former cyber-security businesses of Medina Capital with the new brand Cyxtera launched thereafter. CenturyLink maintain an equity stake in the new company and as a customer across the estate. Verizon Equinix $3.6bn 2017 The jewel in the crown for Equinix was the former Terremark Nap of the Americas facility, based in Miami and a leading network gateway to Latin American cable systems. In total Equinix acquired 29 data centres in 15 markets in North and South America. No UK or European sites involved in this transaction. AT&T Evoque $1.1bn 2018 31 global data centres, many of which leased, sold to an infrastructure fund Brookfield Partners and now operated under the Evoque Data Center Solutions name. 13 European sites including London and Redditch (near Birmingham). AT&T remain as a tenant occupying about 15% of capacity. CenturyLink announced the $34bn acquisition of Level3 in October 2016, just weeks prior to the sale of their data centre assets to a consortium who have now renamed the business as Cyxtera. It will therefore be interesting to see what happens to the Level3 data centre estate, which includes 10 sites across Europe of which two in London, the well-established Goswell Road and the more specialist Braham Street site (close to Aldgate). Many of the Level3 European sites will be approaching 20 years old now, most having opened at or close to the peak of the dot-com boom in 1999/2000. The other London site that we often come across in our regular colocation enquiries and remains carrier owned is The London Hosting Centre (LHC), owned and operated by Telstra. Again, this site has been around for a long time and was one of the first Dockland’s alternatives to the then full Telehouse North. These days it offers quite a cost effective option compared to other Docklands operators and remains underpinned by some larger tenants such as Global Cloud Exchange, where the former FLAG cable system breaks out into the London metro market. Cyxtera whose five London facilities were originally the Savvis data centres (CenturyLink acquired Savvis in 2011) have one of their sites (LHR1) adjacent to LHC at the bottom of Millharbour, but their main focus will be their larger facilities on the Slough Trading Estate with two adjacent buildings offering nearly 100,000 sq ft of net technical capacity. To complete the portfolio Cyxtera are still offering the former Dell data centre in Winnersh, further west along the M4. Whilst colocation appears a core product for Cyxtera, the inclusion of the Medina Capital security businesses into the new venture suggests a strong emphasis on services over and beyond the rack space and network layer. With regards to Evoque and their acquisition from AT&T we believe their London presence is actually two locations both leased from Digital Realty. The first is a suite within DRT’s Sovereign House data centre, a well-established Docklands ecosystem that includes direct access onto both LINX and an AWS Direct Connect node. DRT acquired this site in 2016 from Equinix as part of 8 sites Equinix had to sell following the EU Commission’s review of the Telecity takeover. The second location is a suite referred to by AT&T as LHR2 in DRT’s Woking data centre, a huge 200,000 sq ft wholesale site located 25 miles to the south of London. Ironically Telstra have also successfully been marketing their own suite on a per rack colocation basis in this site since 2010 or so. Summary – more “operator to become tenant” deals to come? As we have shown the model of a sole-occupier selling surplus capacity or assets has been a common theme with these transactions. After the sale the original occupier then remains in situ and becomes a tenant or anchor client for the new operator. Whilst the number of pending carrier based deals would now seem to be more limited, Level3/CenturyLink aside, the model clearly has growing appeal. Having the anchor customer of course is a huge advantage to the new operator who would otherwise face the greater risk of entering the market with a completely empty facility. The Iron Mountain acquisition of Credit Suisse’s data centres in 2017 is a good example of this and we expect the new Iron Mountain London site on the Slough Trading Estate to be launched to the market later in 2019. Credit Suisse have contracted to take 4.2MW out of the 14MW available from the two sites Iron Mountain acquired (the second being in Singapore). Certainly the new operators will have to make some changes to these facilities especially where previously occupied by a single user. For example the footfall to a multi-tenanted data centre will be far greater than a single corporate user, so access arrangements is one area that will have to be addressed in addition to the necessary investment to update a facility to meet modern standards and provide a competitive cost base to match the ultra-efficient standards set by brand new facilities. The carrier list is also another aspect that will need improving. For Iron Mountain the Slough Trading Estate couldn’t offer easier carrier access and the proximity of alternative networks will be a factor affecting the attractiveness of other surplus data centres. In the meantime we should expect further data centre assets to be made available or re-purposed in this way, especially from the large financial user sector, many of whom ran around the London market 10 years ago desperate to secure capacity and have since never used anything like the amount they acquired. As ever, the London data centre market, the largest and most diverse in Europe, continues to evolve in a fascinating way. To discuss the London colocation market or any data centre requirements please contact Colo-X directly. We remain focussed on retail colocation transactions ranging from one up to 30 racks.